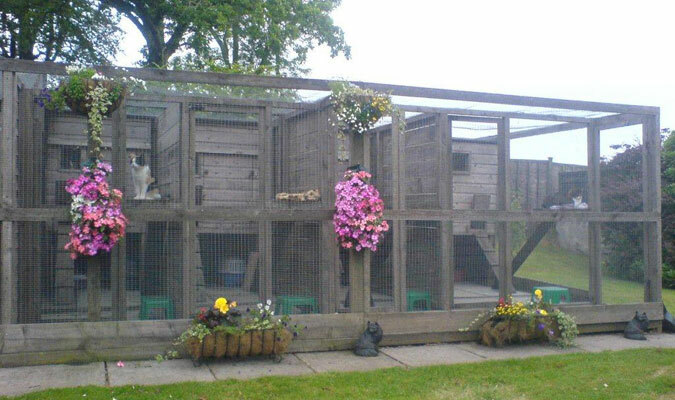 Country Kennels & Cattery located on the edge of Ayr is ideally suited for clients based around Ayrshire. We are only 5 miles from Ayr town centre but still set in a beautful countryside spot. Prices are client specific as each cat has their own individual requirements so please call for prices and check availability. 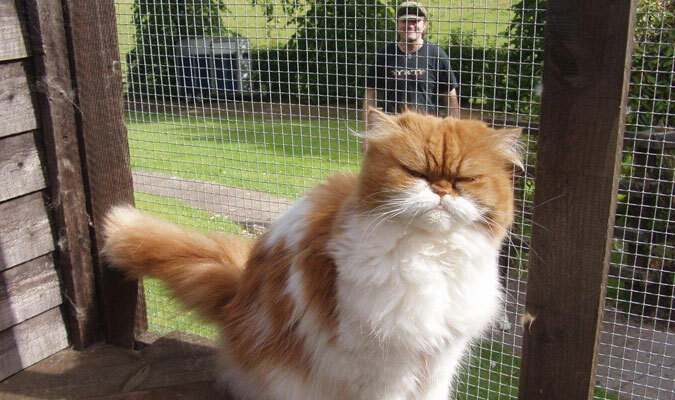 Based just outside Coylton, Ayrshire our cattery has been established for 25 years. 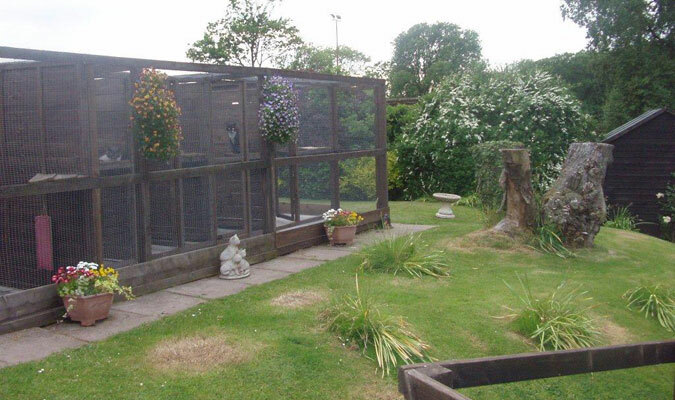 We provide secure accommodation for your pets cats and our friendly staff are very experienced allowing you to relax knowing your animals are in safe hands. 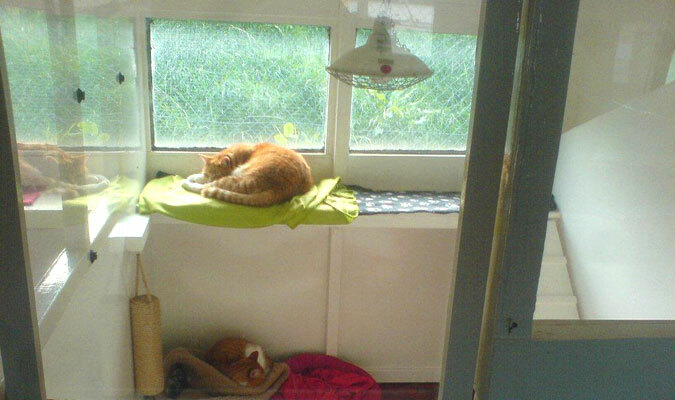 Young and old all cats are welcome we can even provide assistance with special dietary requirements. Accommodation Individual or Large Family Inside Chalets. Individual or Family Outside Chalets, for use in the better weather from April – October. Chalets are spacious, comfortable and all have shelves, ramps and windows with a view. Heating Chalets are individually heated, using overhead heat lamps or heated pads. Bedding We have a wide variety of bedding, but bringing in your cat’s own bedding may encourage your cat to settle in quicker. Toys Please feel free to bring in a especially for the kittens to play with. 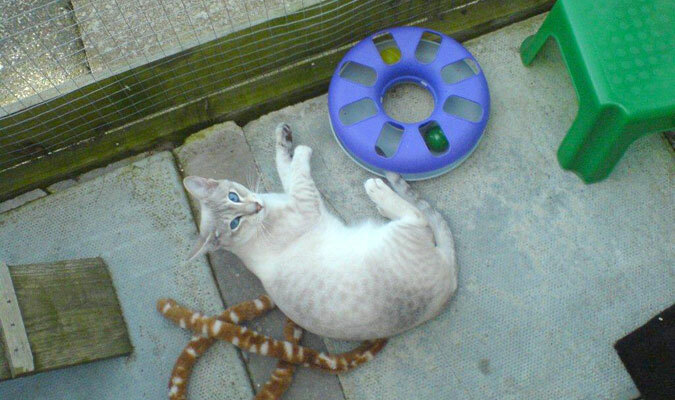 Diets We have a variety of high quality cat foods, dried and wet. However if your cat is on a special diet or you feel feeding may be an issue please bring in your own cat’s food. 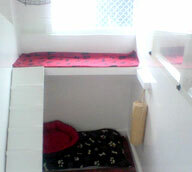 Fresh food can be stored in our kennel kitchen’s deep freeze or fridge. Titbits can also be given. Vet Treatment Leave your vet’s contact details and any health problems arising will be discussed with them and if needed the cat will go to them if within a reasonable travelling distance. Out of hours the 24 hour on call vet service will be used in rare emergency cases. Geriatrics or Special Needs Geriatrics or Special Needs cats are welcome and their special individual needs catered for. Chronic medical conditions e.g. Diabetes, Kidney failure or Hyperthyroidism can be catered for if medication and care plan discussed thoroughly before coming in. Insurance We have a block policy with Pet Plan for peace of mind. 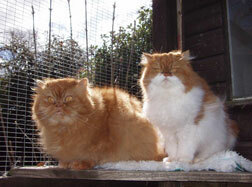 Vaccinations Must be current, covering Cat Flu and Feline Enteritis.